the life of a wife: Guest Posting! 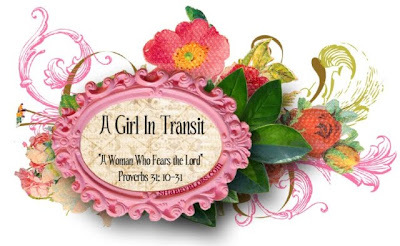 Today I am guest posting for Sarah at A Girl In Transit! Sarah is hosting a series this month called The Fruit of Her Hands (read about it here). I'm sharing two of my favorite fall recipes: here's a sneak peek of one of them! Check out my post here and leave Sarah some love! Yum, these muffins look so delicious! Yay! So glad to have you on my blog. Thanks so much for being a part of this with me. You are awesome!!! Oo those all look yummy! Great post! I cooked the recipe I am doing for my guest post here, super excited about how it tastes! Heading over to check it out! Thanks for the introduction to Sarah! Yay!!!! going over there right now! YUM! Pumpkin chocolate chips muffins is one of my favorites! I keep meaning to make some and post the recipe but I haven't gotten around to it!